*PLTW Outstanding Teacher* on February 18, 2019 in Indianapolis, Indiana. 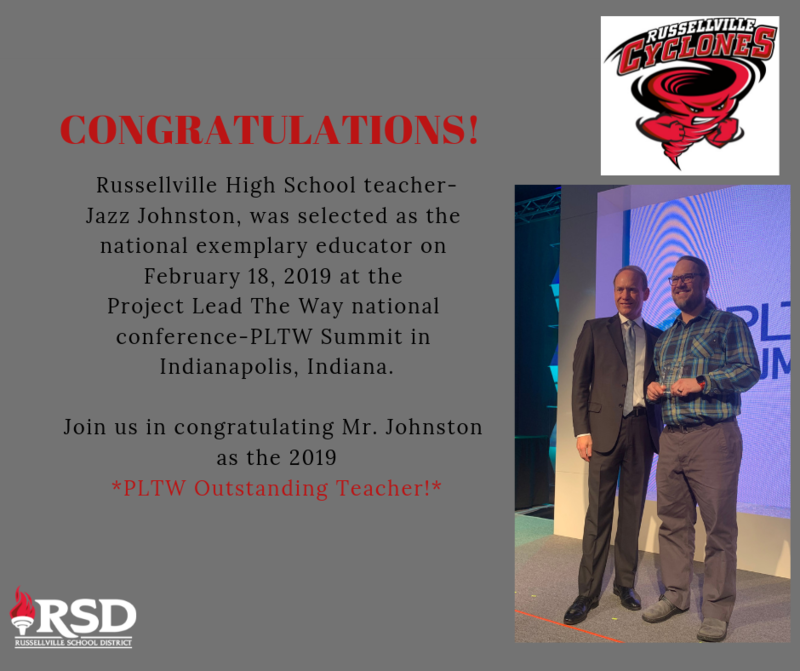 Johnston was recognized at the Project Lead The Way national conference-PLTW Summit in front of hundreds of attendees, including teachers from across the United States. Way to go Mr. Johnston! Congratulations and job well done!